Hey, Lady Grey: I Heart These Handmade Sea Urchin Poufs! I Heart These Handmade Sea Urchin Poufs! 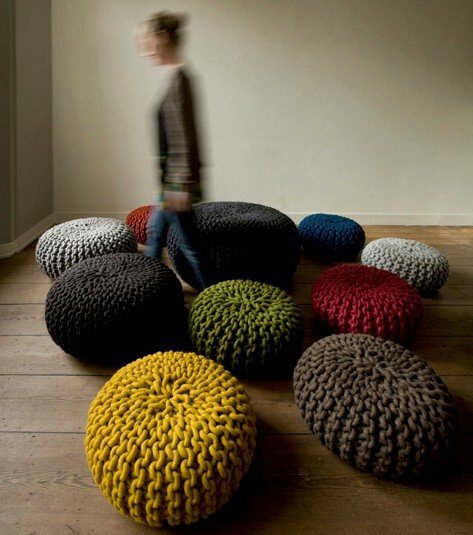 These eco-friendly chunky knit poufs are handmade by Dutch designer Christina Meindertsma. Each sea urchin pouf takes around 6 weeks to complete. Her knitting needles are the size of Broomsticks! 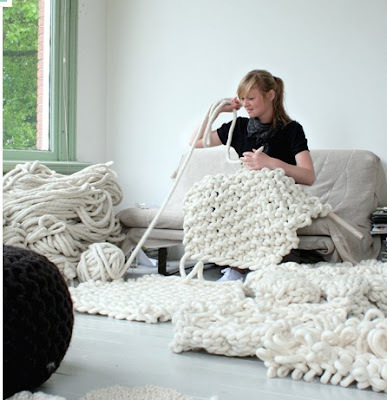 I love this image of her creating this giant knit... she looks so happy. I would love to own one of these, they look so comfy! I love these poufs! They are so original! These are so cute! Look very comfy, too. These are intense... and I LOVE THEM! I love these. Those knitting materials are insane!